With gas lift adjustable seat height. 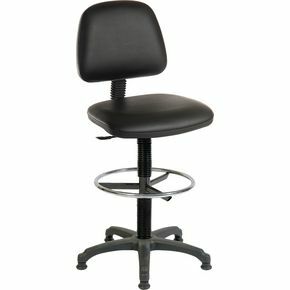 Features hinged tilt backrest and foot ring for 'off floor' support. Durable 5 star base with rubber feet.